This orchid pot has a round shape with a standard lip. 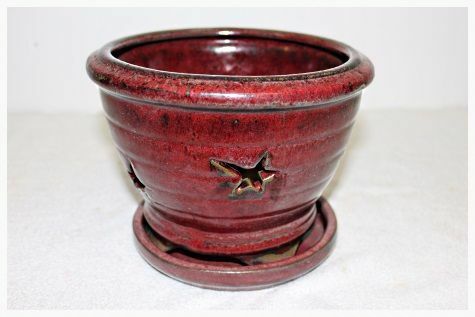 It has a red glazed finish and one drainage hole. 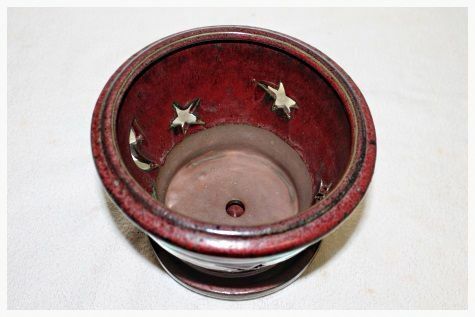 The pot has stars and moon shaped cut outs to form a pattern all around the pot. The pot measures 20x15cm and comes complete with a matching saucer.